Custom laser engraved Wood PopSockets® is the trendiest promotional phone accessory! 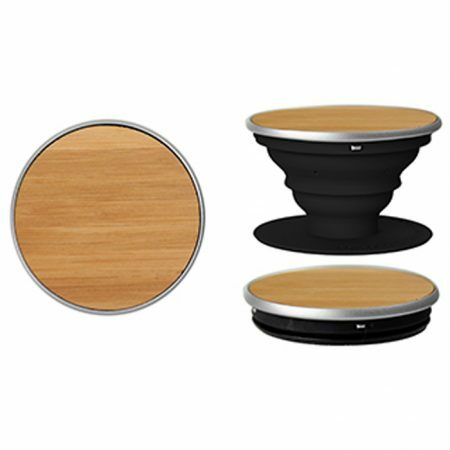 The Wood PopSockets® Grip is available in Bamboo and Rosewood, the unique wood finish lends perfectly to a classic laser engraving of your logo or design. Sticks flat to the back of your phone, tablet or case with its rinsable, repositionable gel. 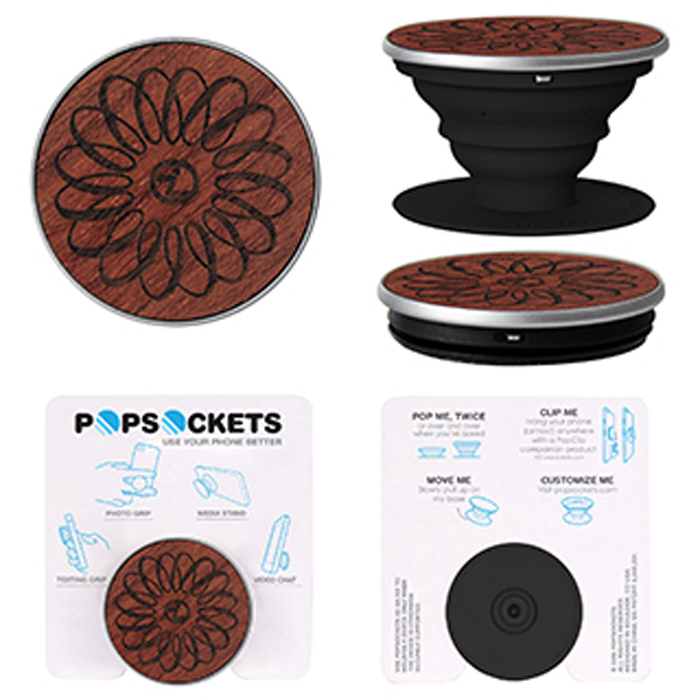 Once extended, the PopSockets® Grip becomes a media stand for your device, a photo or texting grip, or lower it for a video chat. 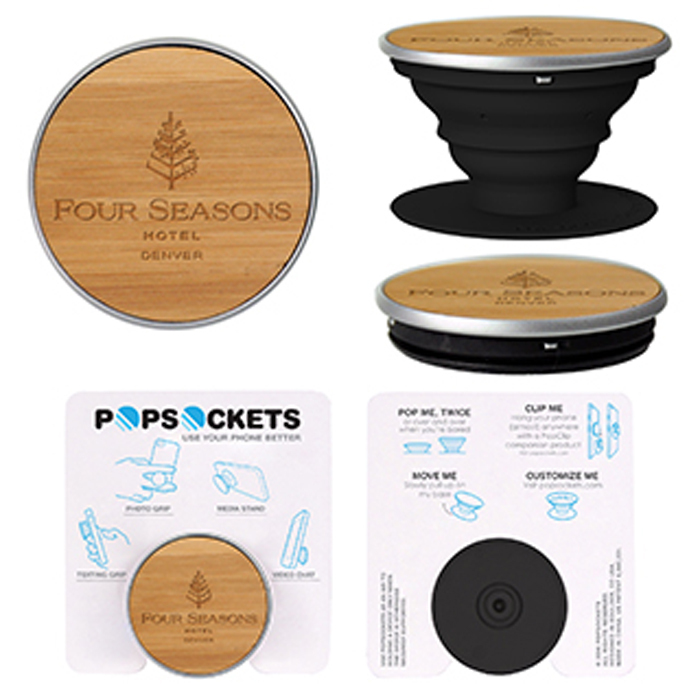 The back of anyone’s phone is prime advertising spaces, and the best part is that PopSockets® can be used on almost any brand of phone or phone case. Order wholesale custom logo Wood PopSockets® today for maximum brand visibility on the popular promotional item!